Sign for Dunton Cove © Gordon Brown and licensed for reuse. According to the OS Name Book of 1856, Dunton Cove is locally said to be artificial, having been made by Covenanters as a place of concealment. 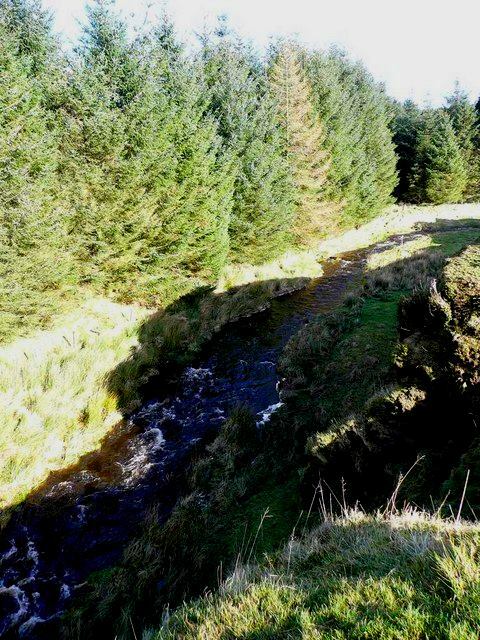 It is situated in a brow on the E bank of the Crawfurdland Water. The Gorge at Dunton Cove © Gordon Brown and licensed for reuse. Tradition claims that the cave was manmade and used by Covenanters to evade the Killing Times. What the origin of the cave was or how old it is has not been determined. From its location close to the homes of several fugitives, it is easy to see how the cave gained a reputation as a refuge for Covenanters. Who may have used Dunton Cove? 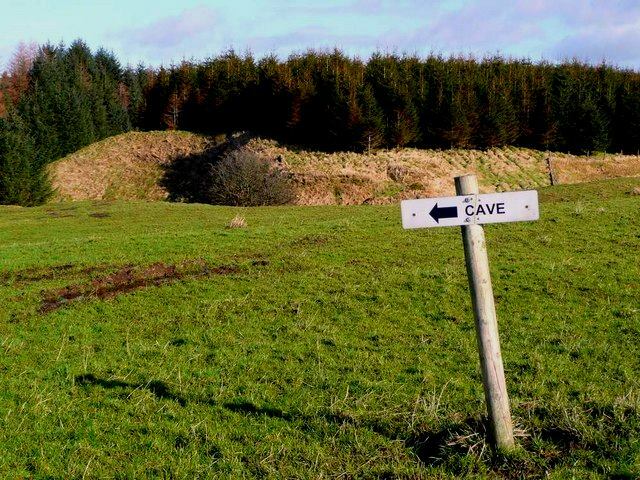 There is no record of any fugitive using the cave. However, one, some or none of the following may have used it, as fugitives tended to hide close to their own homes or those of their neighbours. 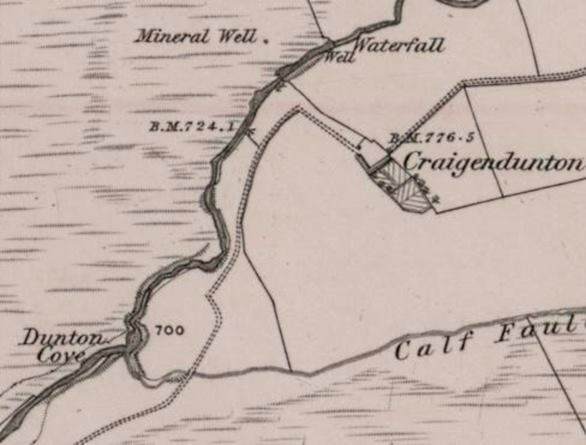 The Cove lies nearest the farm of Craigendunton, which appears on Roy’s map of the 1750s between the Dunton Water and the Calf Fauld Burn. A modern house now occupies the site. 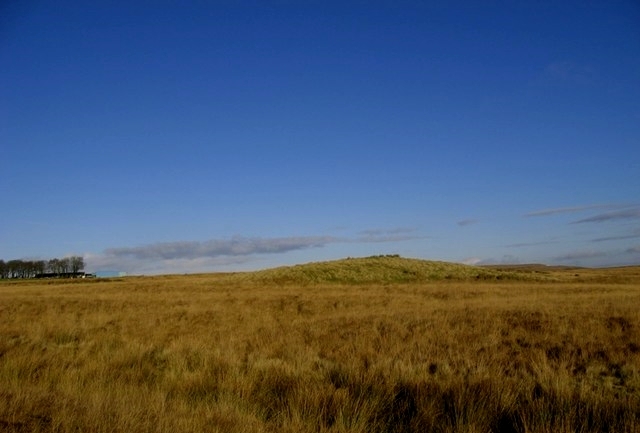 No fugitives are recorded at Craigendunton in the 1680s, but many others are found on the published Fugitive Roll of 1684 in the surrounding farms. Clanfin/Glenfin © wfmillar and licensed for reuse. Downstream from Dunton Cove lie the farms of ‘Benbugh’ and ‘Glenfin’, later known as Benbeoch (now vanished) and Clanfin. Green Hill and Lochgoin in background © Steve woodward and licensed for reuse. Further up the Dunton Water and to the north-east of Dunton Cove lies Lochgoin, which was the home of two fugitives, James Howie ‘tenant of Lochgoin’ (d.1691) and his son, John Howie, ‘there’, about whom many traditions are preserved. Also resident at Lochgoin was Isobel Howie, who after a raid on Lochgoin went into hiding. 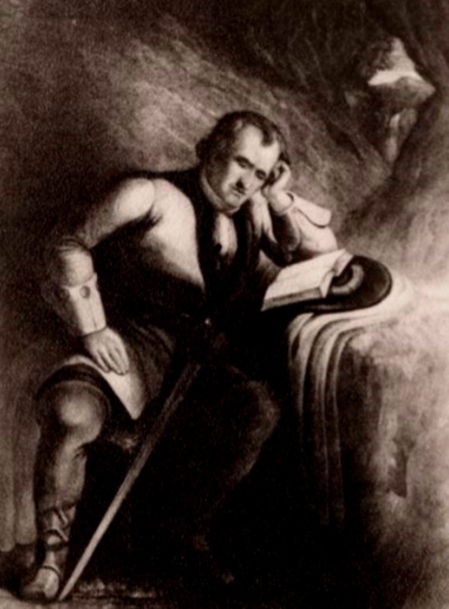 The tack on the farms of Meadowhead and Airtnoch was held by a veteran Covenanter, John Paton of Meadowhead. Donald Cargill is said to have baptised twenty-two children in the barn at Meadowhead in 1680 or 1681. 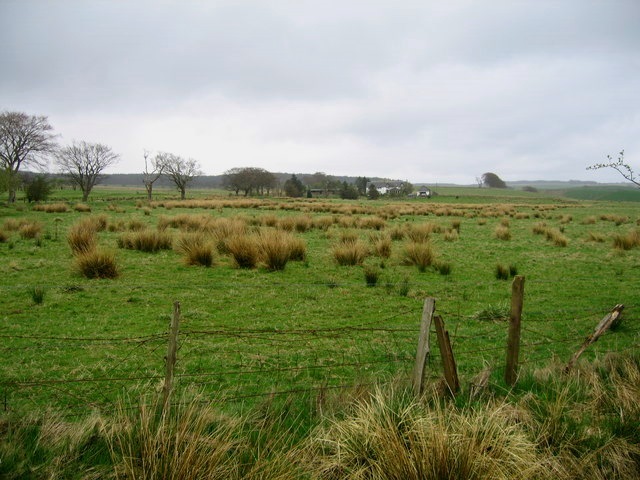 Paton’s network of hiding places included Lochgoin, where he escaped capture, and the nearby farm of Floak in Mearns parish, Renfrewshire. Paton was captured by Cornet Lewis Lauder in the house of Robert Howie at Floak in April, 1684. Text © Copyright Dr Mark Jardine. All Rights Reserved. Please link to this post, but do not reblog without the express permission of the author. ~ by drmarkjardine on September 12, 2013.